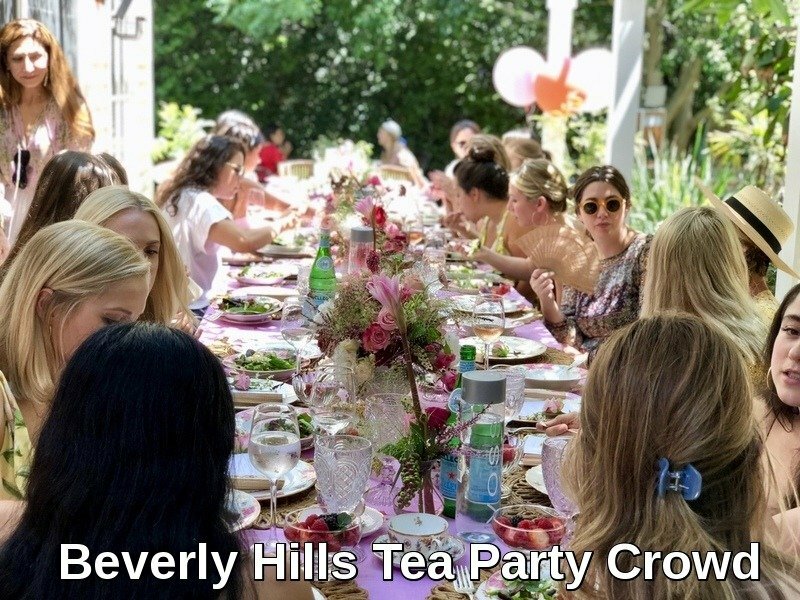 This past weekend we catered a bridal shower tea in Beverly Hills for the beautiful and talented Roxy Sawlaty. Roxy is a celebrity interior designer, so I knew from our first meeting that this was going to a fabulous event. No expense was spared and her attention to detail made my heart sing. We decided on pink as our main theme. 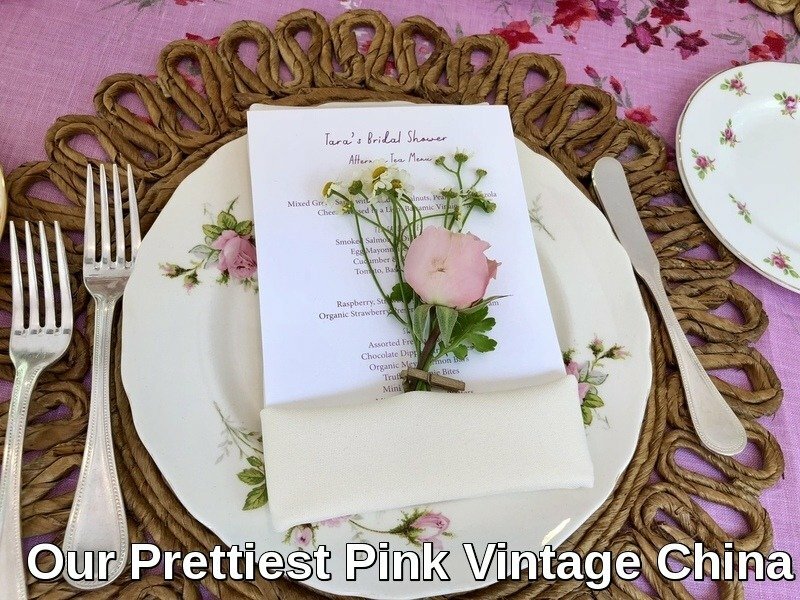 She had already picked out a gorgeous magenta pink material for the tablecloths and napkins. 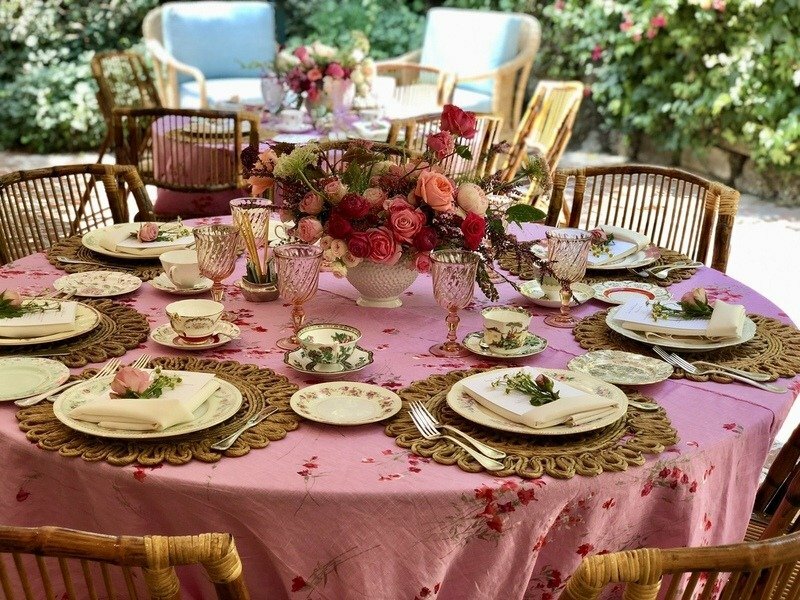 We both agreed that sticking with pink, pastel hues on the tea cups and plates would work perfectly against the bold colors of the linens. 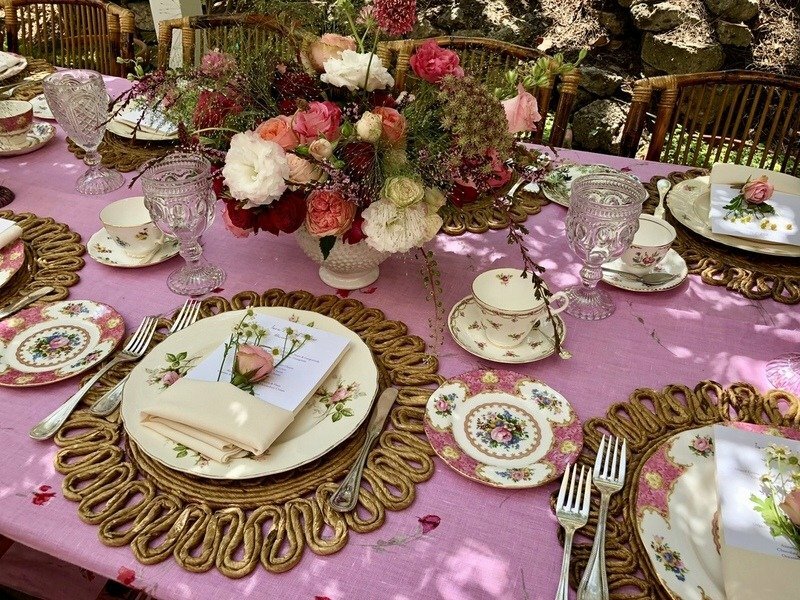 I went though our entire collection of china and picked out our prettiest pink hued vintage china cups and plates. The guests arrived at noon and in keeping with our pink theme they were served chilled rose wine and pink champagne. To keep her guests entertained while they waited for tea Roxy hired a psychic and a photo booth. Which everyone really seemed to enjoy. Tea was served at 1.00pm, so it was really more of a luncheon. We started with a light mixed green salad topped with Gorgonzola, fresh chopped pear and candied walnuts. Then we moved onto the good stuff, finger sandwiches: egg and watercress, smoked salmon with dill cream cheese, tomato basil and goat cheese and cucumber and Boursin. For the sweets we served a selection of mini fresh fruit scones: strawberry, raspberry and blueberry with clotted cream and organic strawberry jam, along with a selection of bite size desserts: Meyer lemon bar bites, mocha brownies, fresh fruit tarts, french macarons and chocolate dipped strawberries. It was an incredibly hot afternoon (each guest was thoughtfully provided with a fan to cool themselves). Not surprisingly we didn’t pour a lot of hot tea, but the champagne and rose wine kept flowing all afternoon! 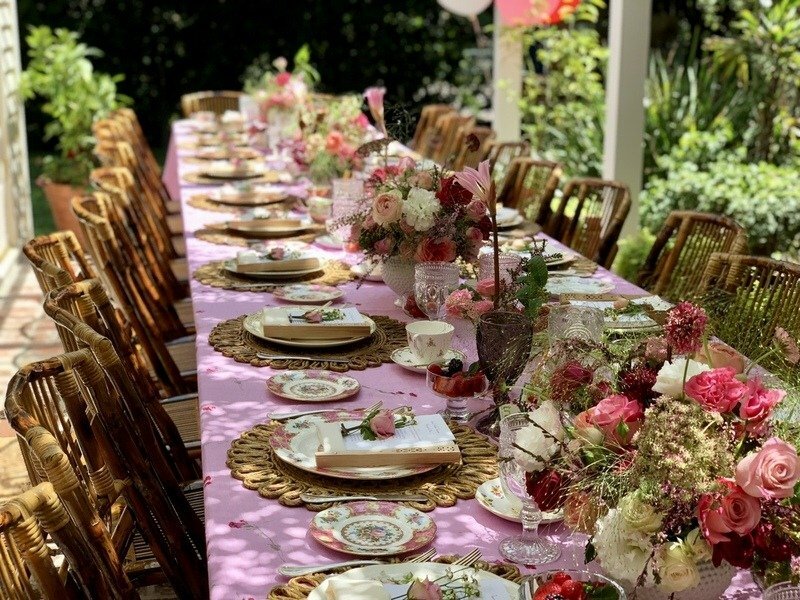 It was really challenging to work in the hot and humid weather, but my team and I rose to the occasion and helped make this pretty in pink bridal shower on of my favorites!